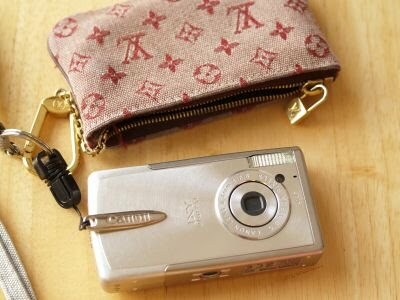 My compact digital camera (Canon IXY digital L2) broke after 3 years... Now it shoots a pic with stripes. 3 years ago, the same thing happened to the former model (Canon IXY digital L), so this was the second time! I always think "Why Today? ", when the things like this happen. Then another unfortunate thing is, my darling had a bloody nose and I was kind of worried about him for few days... On Saturday night, we had a big fight and it got worsen (didn't stop for 30 min) while he had a hemorrhage..., so I called an ambulance. I think I was O.T.T... but the next day he went to see ENT doctor and said the bleed was from a blood vessel! He had a little surgery and got better now but what a big deal! There is nothing more valuable than good health!